Our Halloween mode is in full-swing! We're excitedly setting out spook-tacular things. We've got pumpkins and owls and grapevines. Wreaths and festive books and sweet signs. Everything nice and twinkling lights. 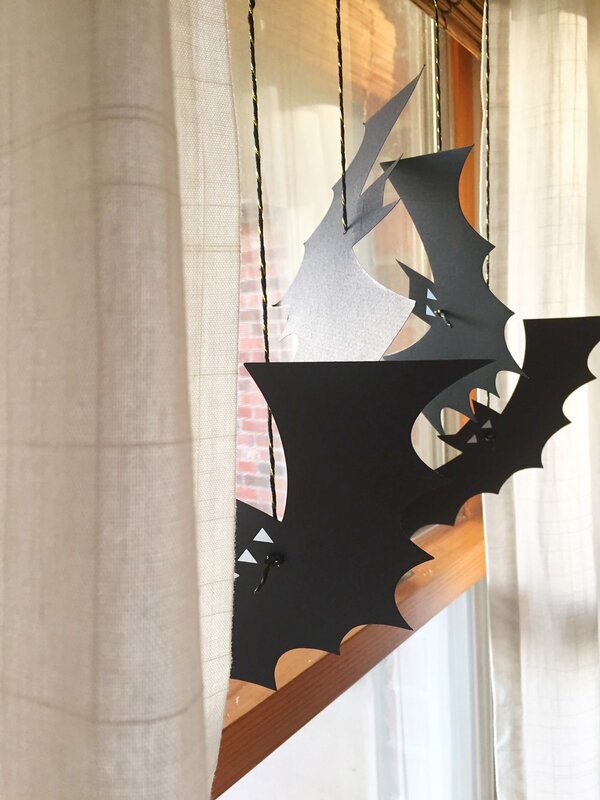 Hanging bats and other fun frights! We hope you find some inspiration in our boo-tiful seasonal aspirations. So have a look, go take a peeks! Enjoy these next few festive weeks. We'll be back with a few outdoor ideas soon -- and who knows! Maybe a few more rhymes, too.